I am just not meant to get more free Scrubbing Bubbles. 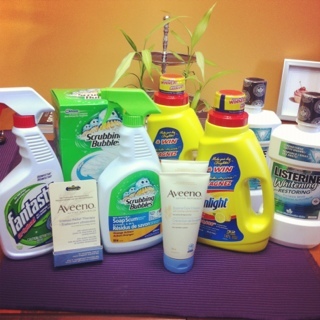 This is the same stack I tried to do last night at the Save On Foods that does not allow stacking – this time I found the Scrubbing Bubbles 1 Step Toilet Kit at the same Save On Foods that I did the EXACT same stack at on a few days ago. Except this time they couldn’t do the stack because my coupons were worth 2 cents more then the product. I understand there are policies and rules and all that but shouldn’t the same store at least follow the same rules? It seems to me couponing is like gambling – will the store take my coupons today or won’t they. Hold your breath, am I going to win today? Did I pick the right cashier? It seems to be more up to the cashiers and if they care if they follows the rules on that particular day. I just find it frustrating and embarrassing when you have to tell them you don’t want what you are buying then. I feel like I am being judged or something. I am always polite, I know they are doing their job I just wish they would all follow the same rules – makes it easier to know what I can and can not do. Turned down for Scrubbing Bubbles for two days in a row. Doesn’t look like I will be getting anymore free – I am running out of stores to try and stock is hard to find. Back to reading coupon policies. According to both the London Drugs and the Save on Foods coupon policies, neither will accept coupons that exceed the amount of the product. How come so many people get away with this and so often? Seriously confused. 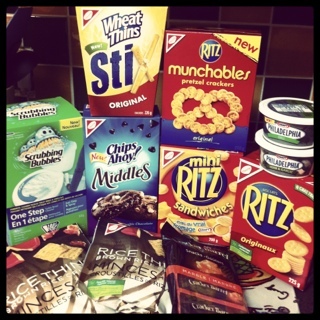 This entry was posted in canadian coupons, ramblings, save on foods and tagged coupons, rant, save on foods on November 16, 2011 by Courtnie. Free Scrubbing Bubbles. Free Fantastic. Free Aveeno. Free Listerine. When I say free I did have to pay the tax. Although, I don’t think I paid the tax on some of the free things at London Drugs, tax seems a little low. Had fun today with stacking at London Drugs. I mostly went to get a couple things for my dad but ended up some stuff for me too. I got some Sunlight Laundry Soap with hopes of winning some more with the pin – got 2 x $8.00 off Disney Lion King Blu Ray instead, was a little disappointed. Least I didn’t buy more the two and it will make our clothes smell lemony fresh. 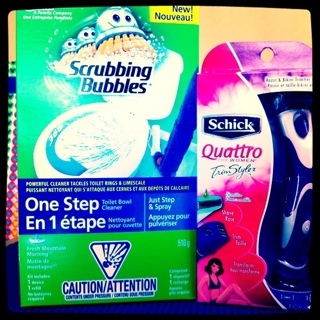 I did happen to find a Scrubbing Bubbles One Step Toilet Kit at Save on Foods – took a few different stores to find one. Hopefully I can find another before my coupons expire. I also went to Kernels and got my almost free small bag of popcorn. I had a free $5 digital coupon from a website a couple weeks ago (no longer available). Was 19 cents before tax and delicious. I picked up some sale things in Bath and Body Works too – a few packs of $6 wallflowers (2 in a pack) and used a coupon to get a free snowflake wallflower nightlight holder. Loving the Cranberry Pear Bellini – it smells AMAZING! 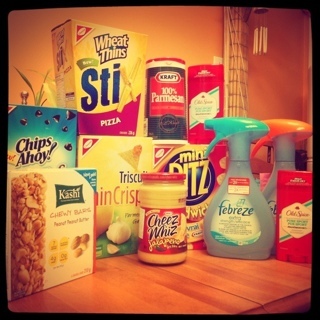 This entry was posted in coupons, free, london drugs, save on foods and tagged canadian coupons, coupons, deals, free, london drugs, save on foods on November 11, 2011 by Courtnie. Today was awesome. I got some great prices on things and met up with a fellow couponer that I found online. She was AMAZING. She gave me some coupons I had been looking for and many more that will get me some great free products with stacking. The lady in Walmart really didn’t like the coupon but after talking with 6 people she took it. The manager said “It’s a coupon, take it and put it in your drawer.” Then she was all in a huff about it not fitting in her drawer. I don’t understand the deal with the cashiers being so bitter about coupons but she took it in the end so I was happy. The Dawn Hawaiian Pineapple Dish Soap smells amazing if anyone is wondering. 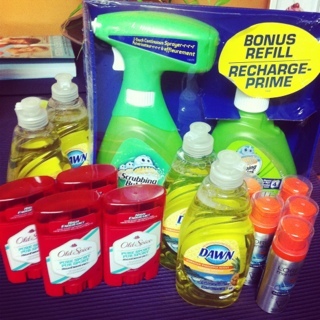 This entry was posted in coupons, save on foods, shopping, walmart and tagged canadian coupons, coupons, free, save on foods, walmart on November 10, 2011 by Courtnie.